You know my discovery of tofu is fairly recent and I fell in love with it when I made the Tofu Mattar. Ever since I have been stocking up tofu in my refrigerator and trying to integrate it into different foods. Even tried it in a plain eggless cake and I was thrilled with the results. However since it was my first attempt, and I was not sure of the results, I did not take any pics. But that recipe will come up soon as I am eager myself to bake the eggless tofu cake once again! 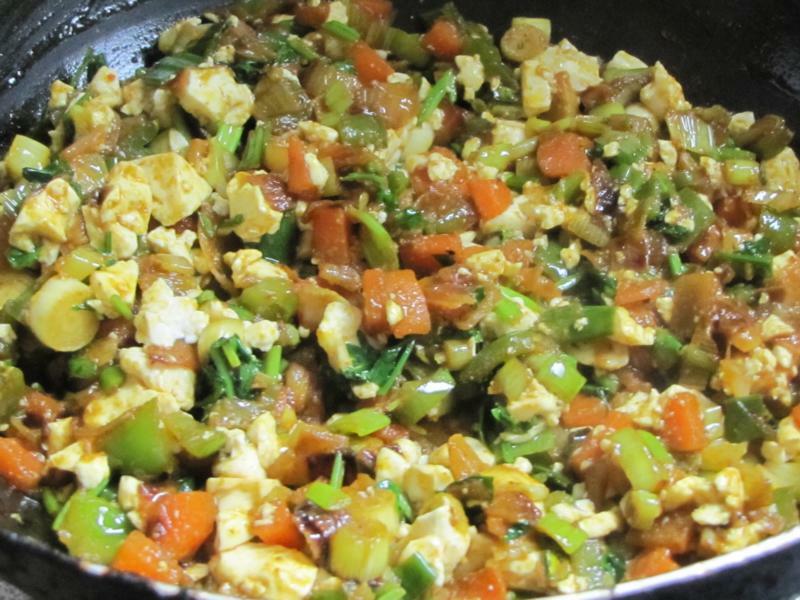 This is another very simple, insanely popular recipe where I substituted eggs with tofu. 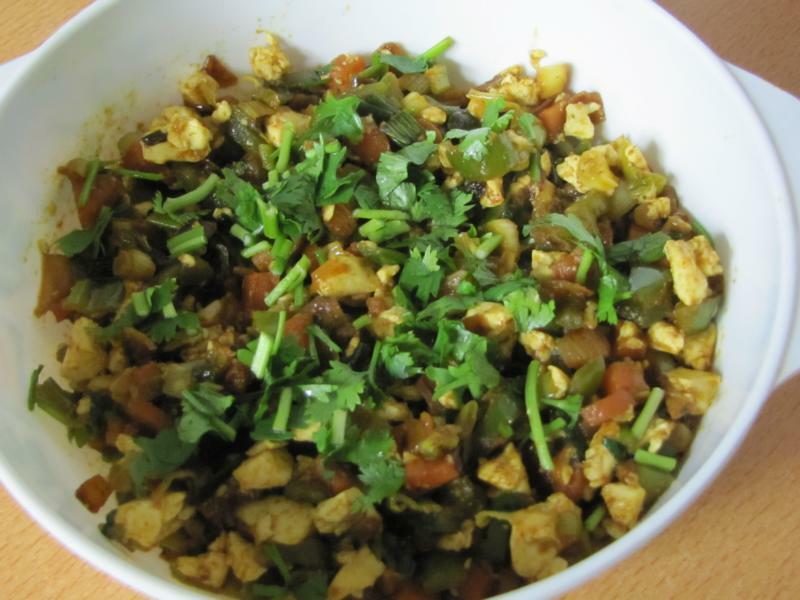 ‘Anda bhurjee’ or spicy egg scramble is a very common dish in India. 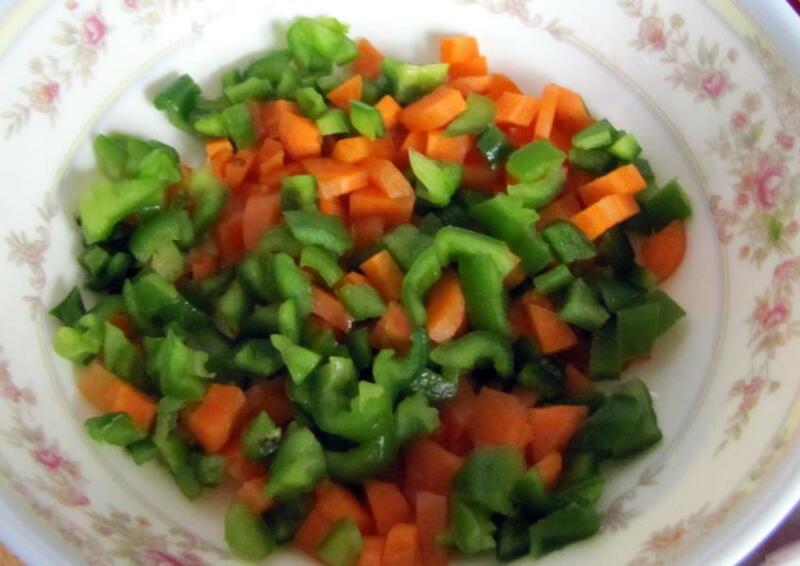 It is popular for breakfast with chapattis, bread or puris. An absolute hit in college canteens amongst cash strapped students! In some places, hot anda bhurjee is sold with bread at road-side tapirs / kiosks just like vada pav or hot dogs! Again I used firm tofu, crumbled to small pieces. Sauté them lightly in a few drops of oil and set aside. 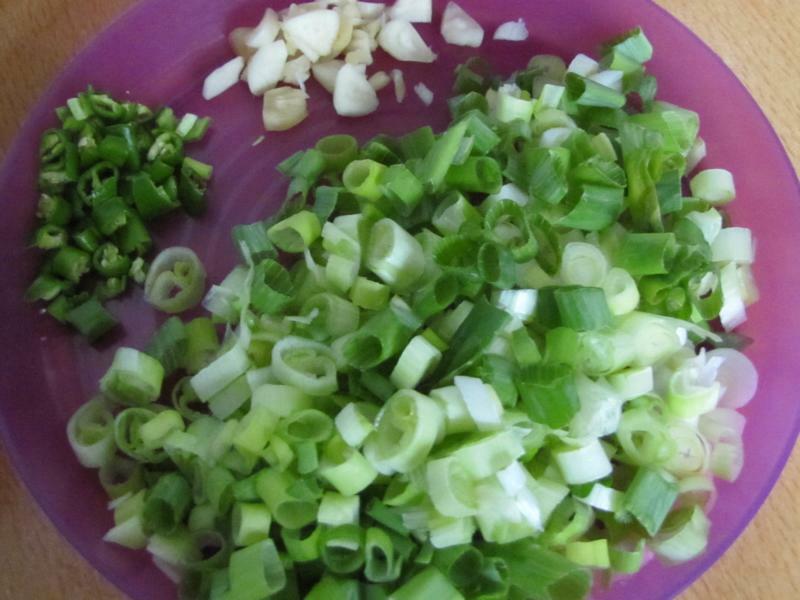 and some spring onions / scallions to give it a more colourful, healthy twist. 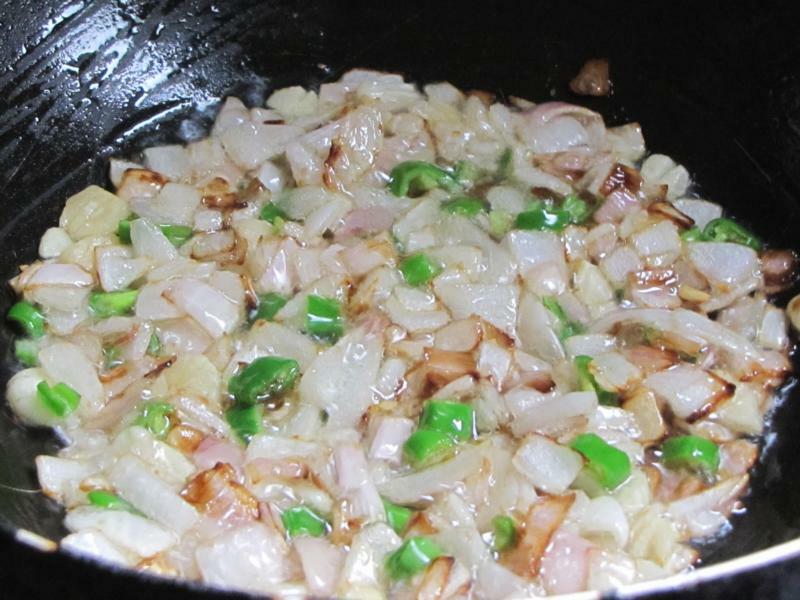 Heat some oil in a pan, and fry chopped onions till golden brown. Add garlic and green chilies. Add ginger garlic paste and the spice powders – turmeric, coriander, red chili and garam masala powder. Add the vegetables, very little water, salt to taste and cook till veggies are little soft and the water is completely dried. Add the tofu. Sauté for a few minutes till all the ingredients are mixed well.. 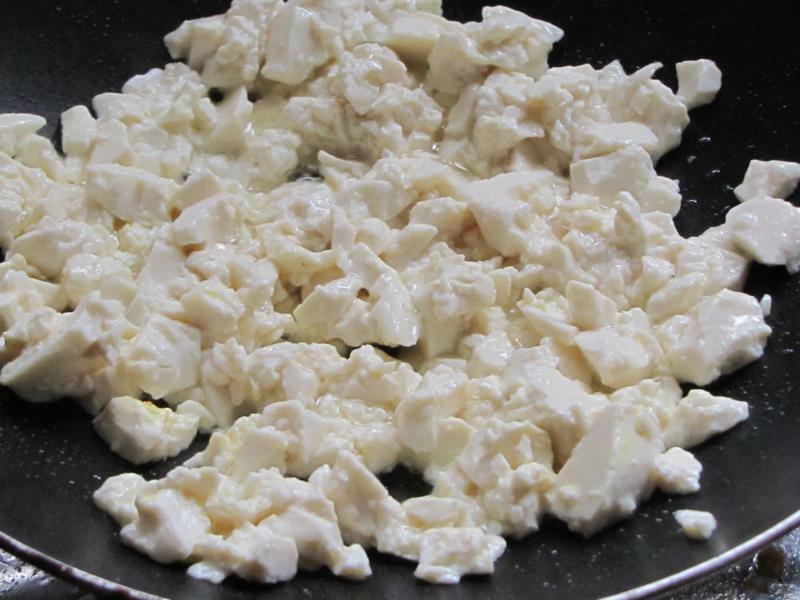 In a non stick pan, add ½ tblsp of oil and toss the crumbled tofu for around 2 minutes and keep aside. 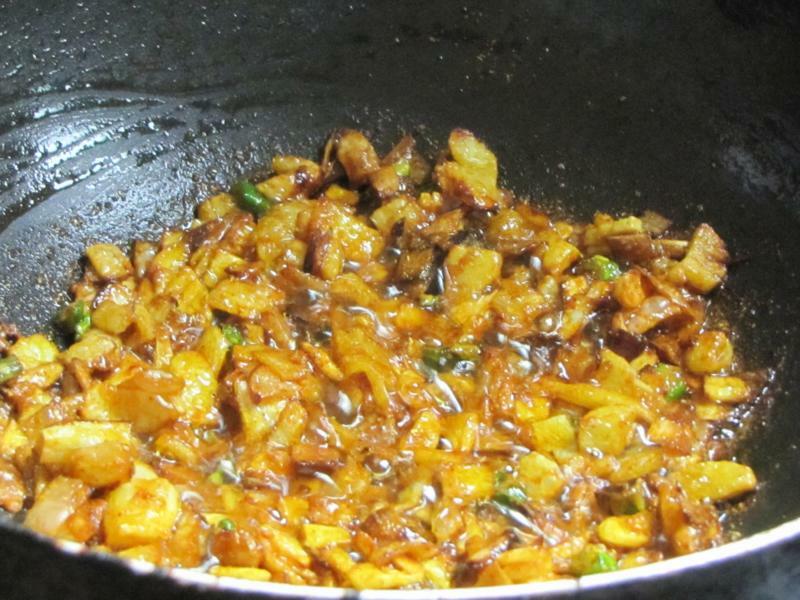 Heat a pan and pour the remaining 2 tblsp oil and fry the onions till light brown. Add the garlic and green chilies and fry for a minute. Then add the ginger-garlic paste and sauté for a minute. Now add the powders and again fry for a minute. Now add the vegetables and little water and salt to taste. Cook on medium flame and after the water is completely dried add the tofu. Sauté for a while and switch off the flame. Garnish with coriander leaves. Serve hot with chapattis or puris. Hi Lissa, thanks for stopping by. Yes it is…I am so glad I finally tried tofu and now it is one my favorite ingredients to cook with! I can imagine a ‘Anda bhurjee’ stuffed inside a puri pocket. It must taste delicious. I would eat that for breakfast anytime. Thanks for sharing the tofu recipe because I have two tofu blocks in my fridge right now, and I was just wondering what to do with them. Have a lovely evening!